Justice Susan L. Bercov and Justice Alice Woolley are the two newest members of the bench in Alberta. Bercov joins the Court of Queen’s Bench in Edmonton. She was the director of civil litigation at the Alberta Ministry of Justice and Solicitor General. She replaces Justice J.M. Ross, who elected to become a supernumerary judge effective Nov. 5, 2018. After earning a B.A. (Honours) from the University of Alberta (1981) and an LL.B. 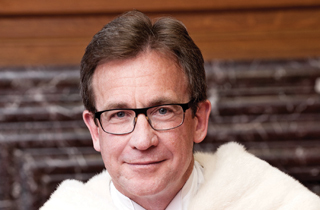 from the University of Alberta (1984), Justice Bercov was called to the Alberta bar in 1985. She began her career as a litigator in private practice at Emery Jamieson LLP (as a student, associate and partner). In 2000, she joined Alberta Justice as senior litigation counsel. Over the course of her career, she has handled a broad range of litigation matters including commercial, trusts, personal injury, insolvency, insurance, class actions and employment before tribunals and all levels of court in Alberta. In 2010, she took on the role of director at Alberta Justice, overseeing the work of a team of lawyers providing litigation services to the province. She was appointed Queen’s Counsel in 2014. Throughout her career, Justice Bercov has been committed to mentoring students and lawyers. 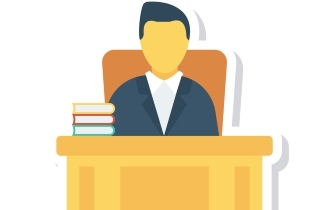 She has demonstrated a strong commitment to promoting continuing education within the profession by designing and teaching courses, both in private practice and in government, on advocacy, legal analysis and ethics. In addition, she has served as an instructor for the Bar Admission Course and volunteered with the University of Alberta moot court program. Woolley, a professor at the University of Calgary, is appointed a justice of the Court of Queen’s Bench in Calgary. She fills a new position created under Bill C-44, the Budget Implementation Act, 2017, No. 1. Following her B.A. in history from the University of Toronto, Justice Woolley graduated with an LL.B. from the University of Toronto Faculty of Law in 1994, where she received both the Gold Medal and the Dean’s Key. In 1995, Justice Woolley earned an LL.M. from Yale Law School, and in 1995-1996 she was a law clerk to Antonio Lamer, then the chief justice of Canada. After completing her clerkship, Justice Woolley moved to Calgary and, until 2003, practised law in the areas of civil litigation and energy regulation. In 2004, she was appointed a professor at the University of Calgary Faculty of Law. During her time at the University of Calgary, she became a nationally and internationally recognized scholar of lawyers’ ethics and professional regulation, with publications considering a wide range of issues including the lawyer as adviser, lawyers’ fiduciary obligations, the good character requirement, access to justice, regulation of civility, independence of the bar and the theoretical foundations of the lawyer’s role. Justice Woolley served as associate dean (Academic) (2014-2016) and as co-chair of the faculty’s Curriculum Committee (2013-2014). From 2015 to 2018, she was president of the Canadian Association for Legal Ethics, and from 2016 to 2018, she was president of the International Association of Legal Ethics.